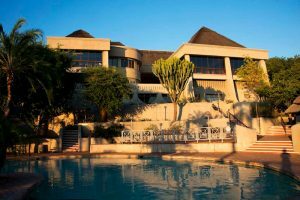 The Elephant Hills Resort is situated at the top of a small hill overlooking the Zambezi River, upstream from the Victoria Falls in Zimbabwe. Its location affords many of the rooms sweeping views of the Zambezi River across to Zambia. 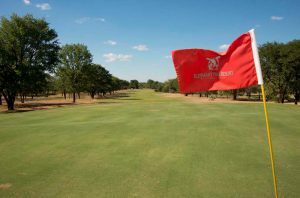 It has one the best golf courses in Zimbabwe and some amazing wildlife. In this prime wilderness location, you can relax in total comfort and luxury while still experiencing the African wildlife. Elephant Hills has a total of 276 rooms, each with a balcony offering fantastic views of the mighty Zambezi River. Enjoy watching antelope grazing and traveling troupes of baboons as they move around in their natural environment. All the accommodation within the Elephant Hills hotel is comfortably decorated with the traveler in mind. Modern comforts in each room include air-conditioning, televisions with satellite channels and a bar fridge. Rooms to the east of the hotel look over the golf course and the Zambezi River in the distance while rooms on the western side of the hotel have sweeping views of the Zambezi River. The 18 hole golf course is frequently visited by a variety of wildlife.